Detail of an oil portrait by Sir Nathaniel Dance, 1735 - 1811. Greenwich Hospital Collection; presented in 1829 by Sir Edward Knatchbull, Sir Joseph Banks executor, at the request of E.H. Locker. British navel captain, explorer and navigator, James Cook explored the coasts of Canada and conducted three expedition to the Pacific Ocean: August 1768-71 in the Endeavour to observe the transit of venus; July 1772-75 in the Resolution and the Adventure "to complete the discovery of the Southern Hemisphere"; and 1776-1779 in the Resolution to find out whether there existed a northeast passage from Pacific to Atlantic Oceans. An expert surveyor and cartographer, he contributed papers to the Royal Society on abstruse mathematical problems such as finding location by the moon. He was presented with the gold medal of the Royal Society and a Fellowship. 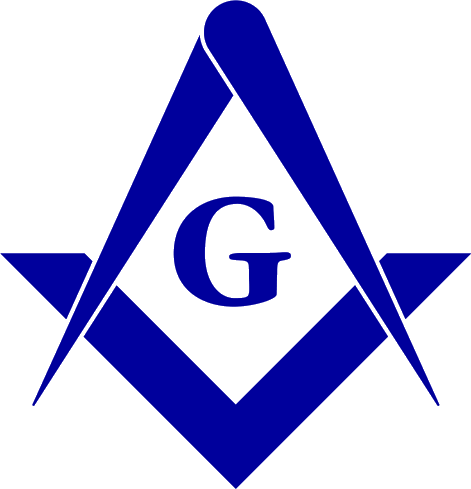 Although no proof of his membership is available, he is often referred to as a freemason. Claims that he was initiated into Lodge of Industry No 186 do not take into account that this lodge was warranted on 15 January 1788, nine years after Cook died. 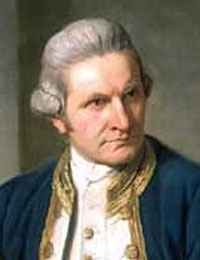 Source: 10,000 Famous Freemasons, Denslow ; Captain James Cook - Freemason? Roy H. Clemens. Honolulu: Masonic Public Library, 1980. 10 pp.